The Dynasty Warriors series hasn't changed much in it's huge span of games. The format pretty much stays the same, and the games are often criticised for their extreme repetitiveness. So, do developers Tecmo Koei bring anything new to the table in Dynasty Warriors 7 Xtreme Legends? Well, I found out the answer to that question when I got a chance to play the demo at the MCM Expo last month. It appears that Tecmo Koei have decided to create a more narrative-based approach to the game, which I felt, from the brief ten minutes of gameplay I sampled, made the game feel much deeper and involved than before. Before going into a mission, I was placed into the Resident's Castle, where players are able to interact with NPCs before moving on to their mission. Throughout the town there are soldiers, townspeople, merchants, blacksmiths and more who will aid you in upgrading or buying new items for your chosen character, or they'll simply offer you a few pieces of advice. You are responsible for improving and redeveloping this castle as the game progresses, which I felt was a nice addition. After wandering around the Resident's Castle for a while, it was time to experience some of the action. I was immediately placed into the heat of the battle, where it all felt incredibly familiar to me. The controls are exactly the same as they were in the previous games (although I've only ever played them on the Xbox 360, rather than the PS3, like this version). Musou attacks still create a massive amount of damage to enemies, and the map system is still in place. What people seem to overlook whilst criticising the Dynasty Warriors series is that, yes, although it is rather repetitive gameplay, it's incredibly satisfying mowing down countless enemies almost constantly throughout an entire mission. 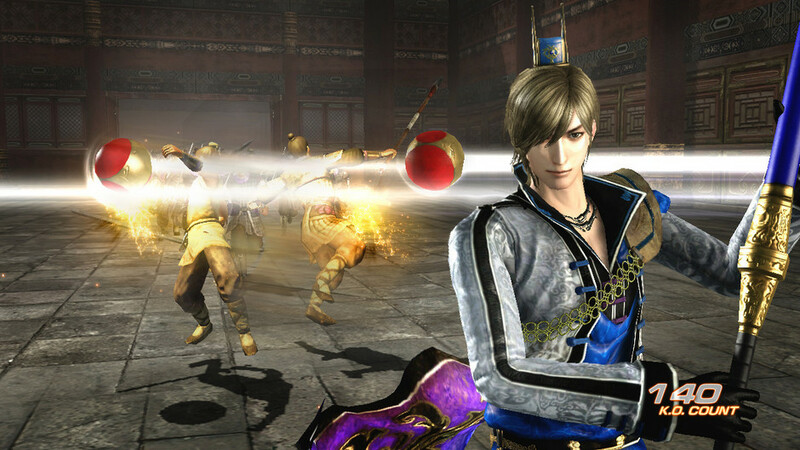 To refresh what can be seen as an over-used formula, Tecmo Koei have added in a few changes. The first of these allows players to move and attack at the same time, which seems to make the game flow much better this time around. New characters have been added alongside the usual assortment of Dynasty Warriors regulars, and each character has been given a new costume. There are also two brand new game types, in addition to the regular Challenge and Legend modes, all of which come equipped with online leaderboards. Unlike Dynasty Warriors 7, all characters can be played on all levels, and they will have the ability to switch between two weapons whilst fighting. This focus on a greater level of narrative also promises for a more in-depth storyline for each character, and the inclusion of an encyclopaedia and gallery in the main menu further hints at this. The graphics look like they've been given a good polish also. So it looks like Dynasty Warriors 7 Xtreme Legends is showing some promise. Yes, it's the format is pretty similar to previous Dynasty Warriors titles, but the changes in place this time around prove that the team have put in a considerable amount of effort to make this look like a much deeper, less rushed package than before.